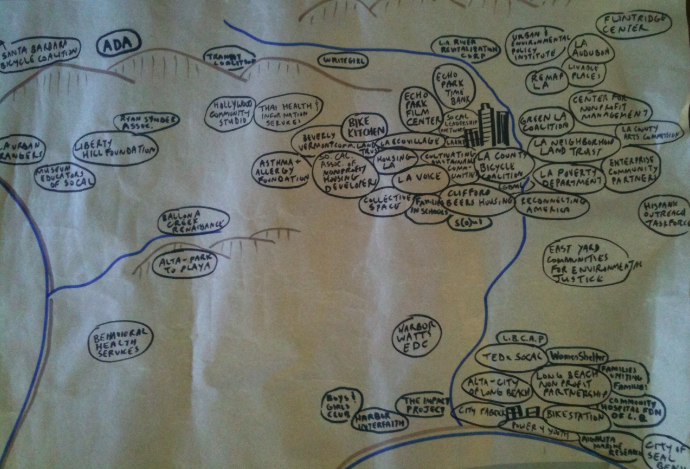 Old hand-drawn map of my clients in Southern California…newer map below. 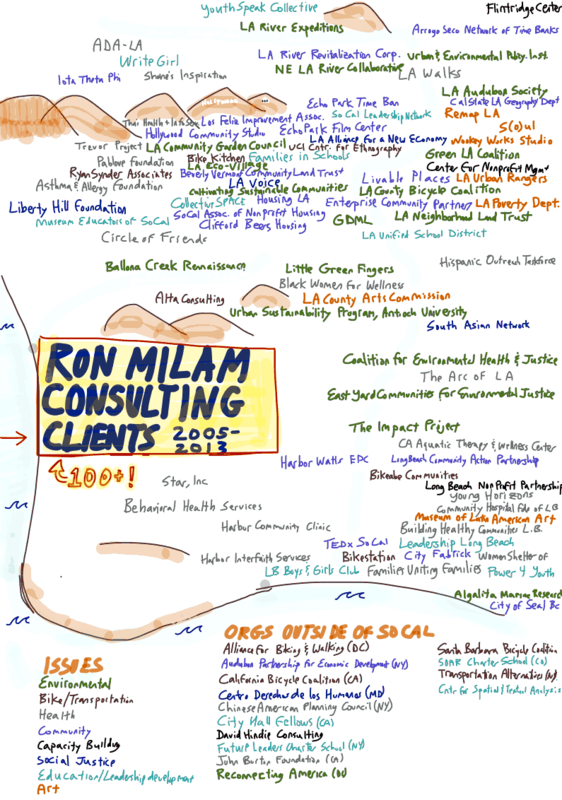 Since launching my own consulting practice in 2005, I have served over 130 clients. Through my work I interact with passionate leaders working on a variety of issues throughout Southern California. Here’s a list (and an updated map) of all of the great organizations (and collaborative change initiatives) I have worked with. This entry was posted in My Clients, Sustainability and tagged #Nonprofit, #NPLA, Board Development, boards, Coaching, Fundraising, Leadership, Sustainability, Training. Bookmark the permalink.